PMIP means People Make It Possible. Our After Hours at POSSIBLE showed that to be true, with a great crowd turning out for some networking and catching up with colleagues in the Z|Bar. We love that each of these events brings in a fantastic mix of new people, a cross-pollination of creatives to keep things fresh. Special thanks to Hand Crank Films for the PIMMs, er, PMIP cocktails! Check out the #AAFterHours social stream. Full photo album on Facebook. We do a lot of serious, smarty-pants kind of events. Witness last month's Content Is Your Brand Speaker Series panel discussion. Great stuff for sure. But AAF Seattle is not all work, nor are we dull boys or girls. 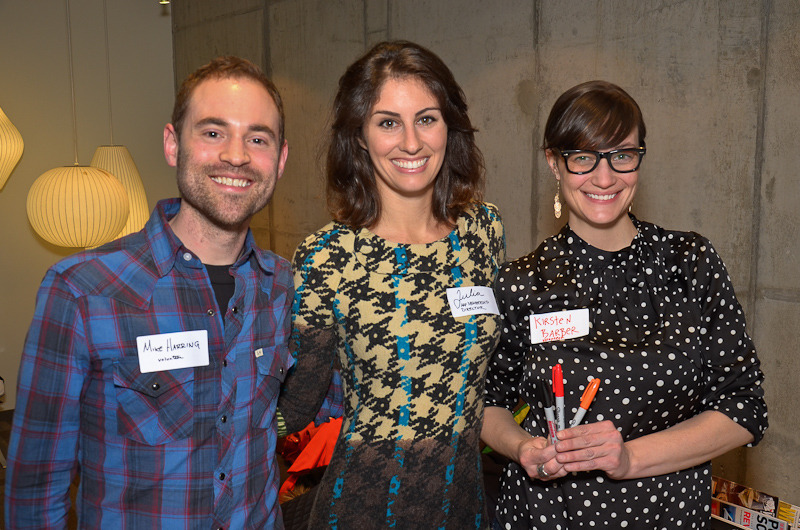 Witness last night's After Hours at the Seattle Wunderman Network. Libations. Networking Schmoozing. Bonding. That's all. This spins our wheels. Tag yourself in our Facebook album, add your own pics to our Everlapse flipbook, and check #AAFterHours on Tagboard. On April 18th we're hosting After Hours: Copacino+Fujikado, and it's coming at just the right time. For one thing, it's their 15th anniversary, and that's a lot to crow about for them. So they may have more than a few fun things cooked up. But for us, we're coming off ADDY season and a blistering pace of four major events in less than two months. 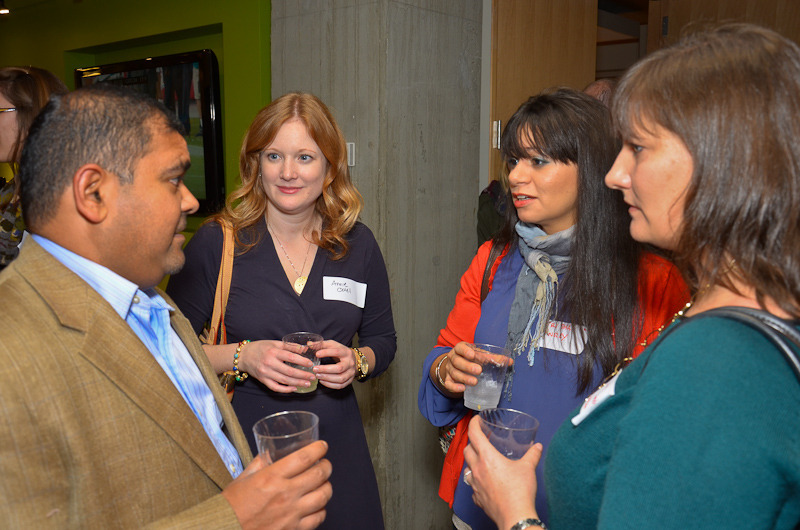 After Hours is an informal social mixer hosted by an agency member. 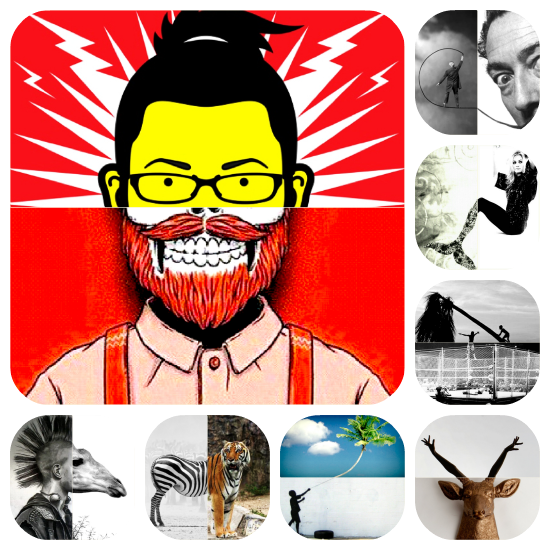 No program, no speakers, just drinks, noms, and a random mix of creative types. It's a great way to get to know your industry peers with a bit more time than you get before one of our bigger programs. Plus it's just $5 (free for AAF Seattle members) with food+drinks (Redhook's new Audible Ale and 14 Hands wines) included. So what's with the weird pics? Copacino+Fujikado—Italian+Japanese—is a surprising combination. We're featuring other surprising combinations on our Pinterest board. Tag your own surprising combinations with #AAFfterHours to join in. What a night! At almost 50% larger than our last 50% larger After Hours event, we can't appreciate our community's interest enough. We very much hope everyone enjoyed themselves. You can see pics from the event using #AAFterHours on Twitter and Instagram, or see our tiny album on Facebook. We'd love to see any pics you may care to share on our wall. If you attended the event, we'd love your feedback to make the next After Hours even better. It's your chance to tell us what you thought of our second try at this concept. Click here to take our short and easy survey.